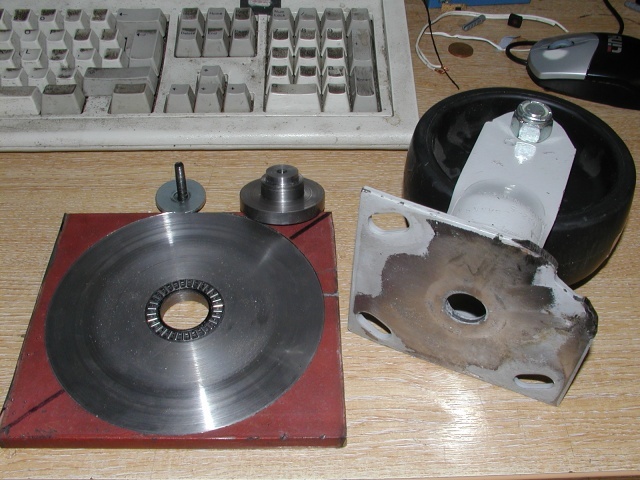 The red plate had a 25mm hole bored in it, followed by a 42x1.5mm recess for the bearing. The "spigot" was turned from a remnant of steel bar I had left over, and was turn to be a close sliding fit through the plate & bearing, and also through the centre hole of the castor plate. Drilled & tapped for an M6 bolt, which, in conjunction with a big washer, is used to hold the castor in place. It's not particularly tight, just tight enough to remove any slop. 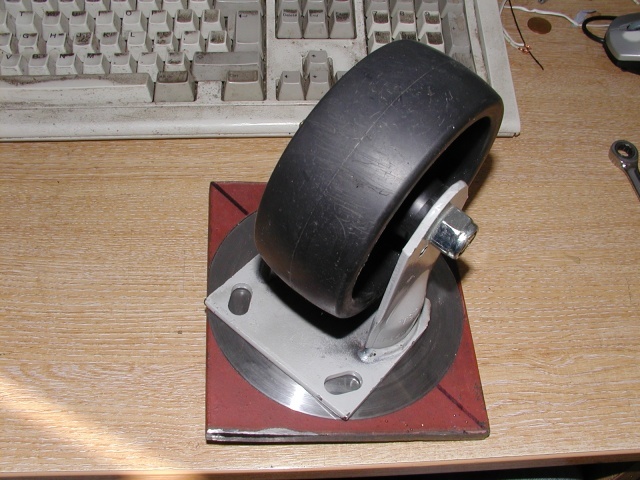 They look like good strong castors, are you planning to do all 18 and put your workshop on wheels . Aaagh you had them, i bottled out couldnt lift more than 5 1/2"
A trip to the local woods proved even cheaper. Still, at just over a quid each delivered, even a Yorkshireman ought to approve. You know an easy way to make those self-steering would be to cut the forks off near the top of the flat section at say 10 degrees angle then flip them round and re-weld. Dont think i actually bid Ade. 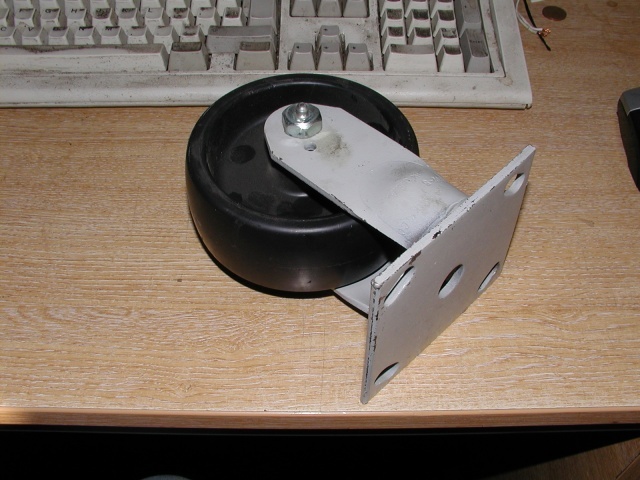 By the way the 2 supermarket trolley wheels were welded on to two plates, 4 each end, trouble is i cant left it to even get something under. No room to swing a cat. Two weeks and back on the lathe setup.